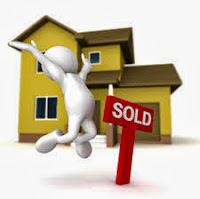 Houses & Homes VA: Sell Your Home Quicker and Sell it for More! Sell Your Home Quicker and Sell it for More! You already know that the better your home looks when showing it to buyers, the better. Obviously you want to sell it as quickly as possible but did you know that a well prepared home will increase the value as well? That’s right! A faster sale and more money, what’s not to like? I call this the “Simple Six” and that’s exactly what it is! Make it Work – this sounds silly but be sure that everything is working properly when you are showing your home. Of course you already know this but knowing and doing something about it are 2 different things. Take the time to make it right. Nobody wants to buy work; they want to enjoy their new home. Immediate repairs are not the least bit attractive to new homeowners. First Impressions Count – the way that your home looks from the outside is every bit as important as the way it looks on the inside. Give your visitors the “wow” factor before they even walk in the door! Trust me, it works. Store it, Sell it or Give it Away – it’s a house sale not a yard sale, right? Create as much space as possible and keep only the bare essentials in the home for viewing. Let the client imagine their things in your home, not yours. Spacious sells! Clean, Clean Clean! – when you’re done thoroughly cleaning your now spacious home, do it again! Nuff’ said? Jazz it Up! – add some flair to your home that will appeal to buyers. The internet is full of simple and very inexpensive ideas to really add to your home’s décor. Sometimes a little means a lot. Don’t “Backslide” – now that you’ve done the first 5 steps, keep it that way! Be vigilant and consistent. What’s the point of all of this effort if no one sees it? That wasn’t really so bad now was it? Follow these suggestions and before you know it you will have that home sold!